I suppose on a trip as long and complicated as mine there will be at least one place that disappoints. For me, that’s Malta. I made mistakes in planning the Malta part of the trip. 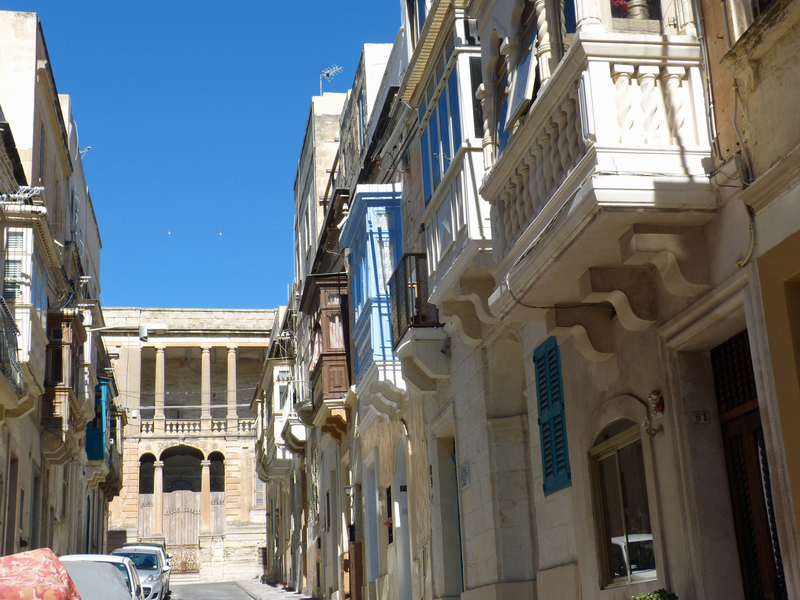 Although it’s off most Americans’ radar screens, I’ve known a little about Malta since planning a young couple’s honeymoon here a few years ago. I had been wanting to see it for myself since. I knew it was a very popular beach resort. I have the books, I read the web but I missed some basics. For example: I thought I was going to a Caribbean climate – Malta is farther north than New Bern! And although the sun shone every day, the wind at 22 miles an hour today is keeping me inside once again today. I was sick for nearly half the days I spent here. I now believe it was tap water from storage barrels on the roof of this building running through the pipes (instead of clean public water directly from the local utility) that made me sick. Lesson learned: Always drink bottled water unless you know the source of the water available to you. Because Malta is a member-nation of the European Union, because English is one of the official languages, because many things look familiar and its only 30 miles from Italy, I believed I was in just another safe and charming piece of Europe. And it is — but things are done differently here. Finally, I have been very disappointed in the apartment I rented here via TripAdvisor. I still don’t know all that’s going on behind the scenes but I do know that the owner of this apartment created not just a very professional marketing package for the web but also a completely false description of himself. “We’re Martin and Michelle” all his ads say. His prices are quoted and paid in English pounds leading me to think he was English. Halfway through my stay he became “Vic” from California. This place meets only the most minimal standards yet the reviews are really good. Although the ads make it sound like one of the big high rise apartments all around me, this place is old, very poorly maintained and ugly! Finally I’ve figured this out: I’m in one of the very best locations in this country at a low rent and others who rent this place know that. (It’s fully booked for the season.) They don’t expect much. So, if they bother to write a review on Trip Advisor, they give it a bunch of stars, talk about the view and the location, and never give a thought to people who will follow them here. So tomorrow I leave! I’m flying to France where I’ll spend almost all of the next three weeks exploring Brittany. I’ll drive around from place to place for the first week before moving into a gorgeous apartment in the center of a famous old city called Quimper for about ten days. I’m looking forward to having much to tell you about! The view from my window has been a comfort. I’ve had the flu since Thursday and I’m just getting over it. I don’t know what this bug is that they have here but it must have been brought by the Ottomans or another of the enemies of the Knights of St John as a thousand year curse. I don’t think I’ve ever had anything this bad and it’s taking its time about leaving. I’ll be back to this just as soon as I’m back to being a tourist again. 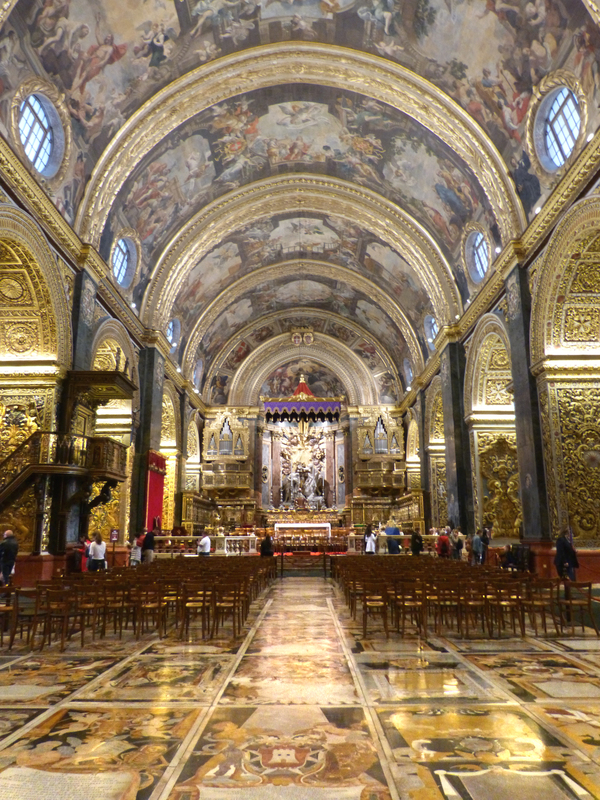 In the center of tiny Valletta I found one of the most remarkable, most beautiful churches I’ve ever seen. 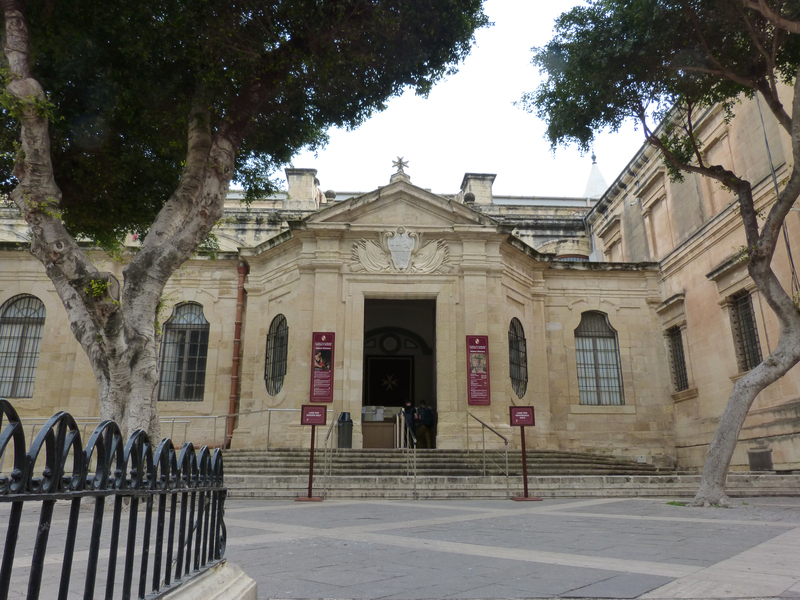 Completed in 1578, this was the principal church of the Knights of the Order of St. John of Jerusalem also known as the Knights Hospitallers. Both the exterior and interior design were originally quite plain – the height is not great, the windows are clear, the carving of the columns rather simple. 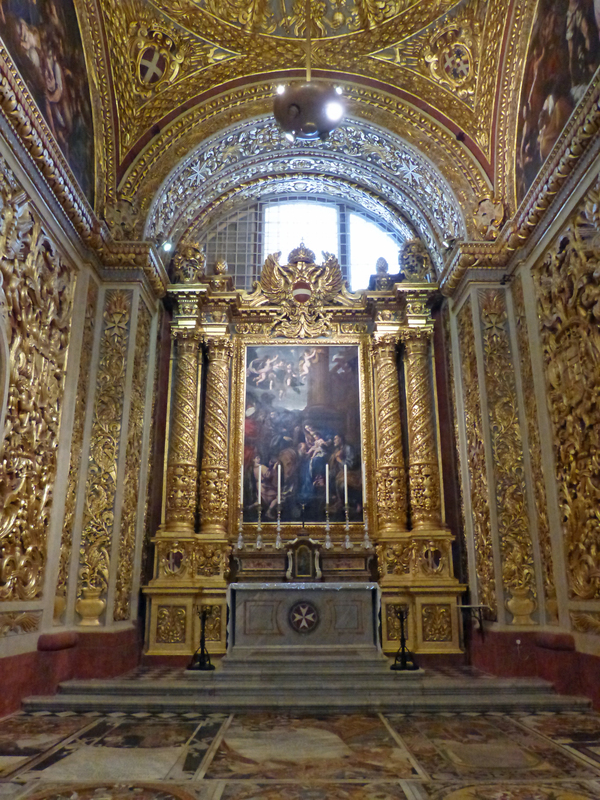 In the years that followed, until they were driven out of Malta by Napoleon Bonaparte in 1798, the church was filled with gold, paved in marble art, and some excellent paintings including one truly extraordinary work of art. The Knights of Malta (as the Knights of St. John came to be known) trace their beginnings to the First Crusade in the 11th century. You may have heard the term “Maltese Cross” used to represent an eight-pointed star. It’s believed that the shape of the Maltese Cross was used by crusaders from the time of the first crusade. By the 16th century when they arrived in Malta, the Order had organized itself into eight regional groups representing areas of western Europe. In the design of this church eight large side altars were created, each one assigned to one of those groups. Mattia Preti of Calabria in Italy was summoned to Malta to paint the portrait of the Grand Master in 1659. 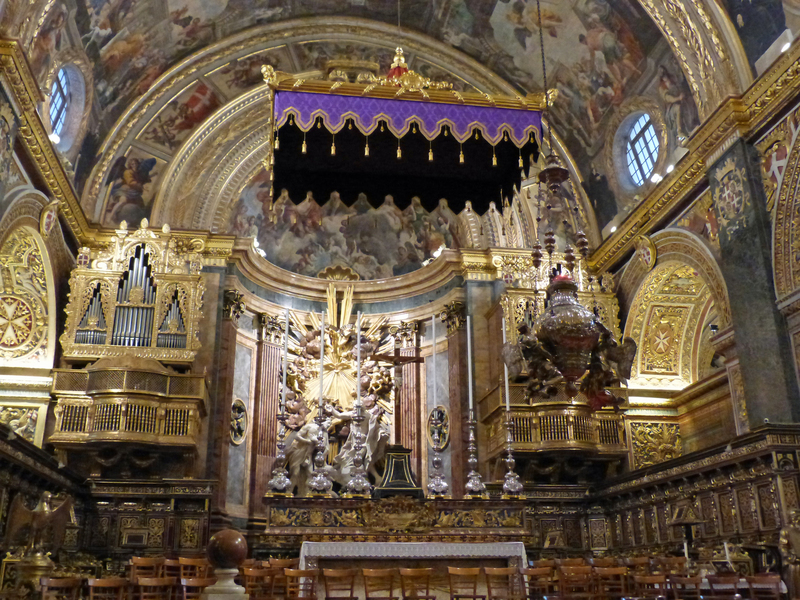 He was asked by the Order to decorate their church in the baroque style that was then in favor in Italy. Preti enlarged the windows in each bay and created openings between them, increasing the light inside. The bays on the each side of the church became chapels for the eight European groups of the Knights of Malta. As you can imagine, each chapel is beautiful. They are covered in gold and each one holds at least one major painting; some also have fine paintings in the arches at the top of the chapel as well. 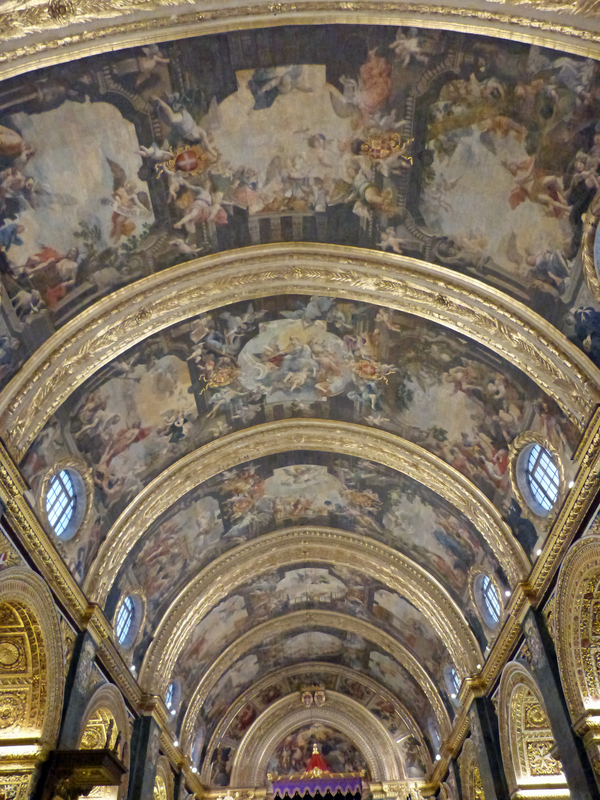 It was Preti who painted the ceiling which never fails to remind visitors of the Sistine Chapel at the Vatican in Rome. The scenes represent times in the life of John the Baptist. The floor may be the most interesting area of this church. 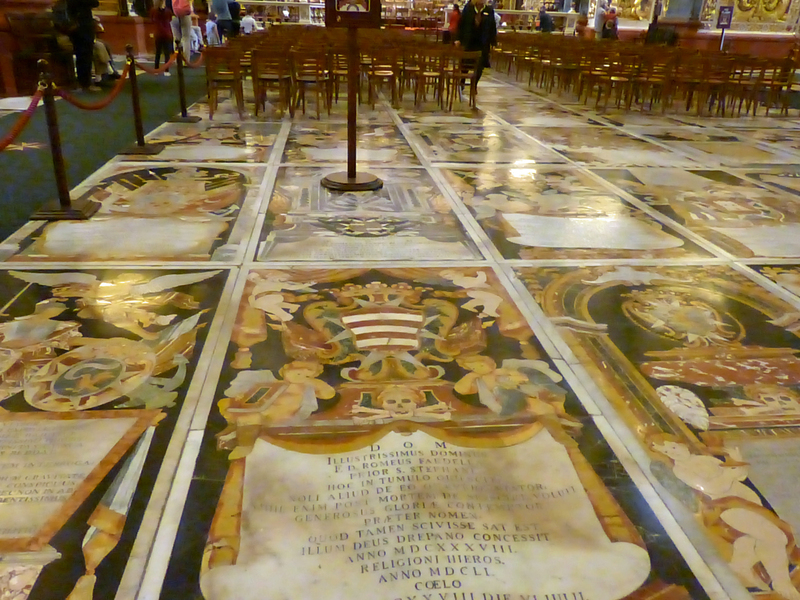 Four hundred knights are buried in the cathedral floor, and each of their bodies is covered by a unique design made entirely of marble and colored stone. The high altar’s centerpiece is a sculpture of Jesus being baptized by John the Baptist with a representation of the Holy Spirit in the form of a dove in the gold work behind the sculpture. The altar is surrounded on three sides by 16th century choir stalls carved with scenes of the life of St. John the Baptist. A solid silver sanctuary lamp hangs from the ceiling and six great silver candlesticks stand tall. All of the elements that comprise this church are extraordinarily beautiful but none is better known or of greater value than this painting by Caravaggio, one of two found in the Co-Cathedral. Caravaggio, whose work dates from the time around the turn of the 16th to the 17th century is considered by many to have been the greatest artist of his time. He’s best known for developing the technique of placing illuminated personages before dark backgrounds. 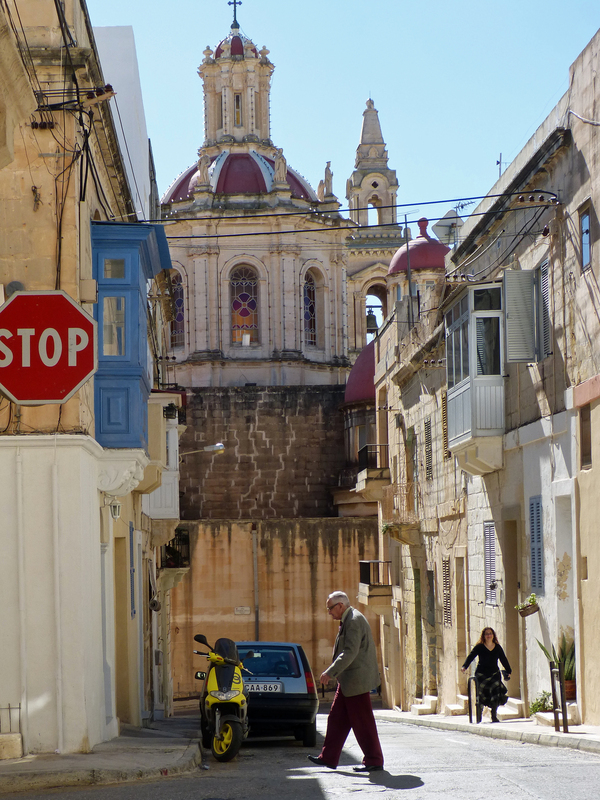 He came to Valletta to escape being sanctioned by the pope, having been accused of murder. He fled after being imprisoned in Malta because of his involvement in another death. He died in 1610. A painting of St. Jerome created by Caravaggio ca. 1605-08 hangs in the Museum located in the Oratory of the Co-Cathedral. 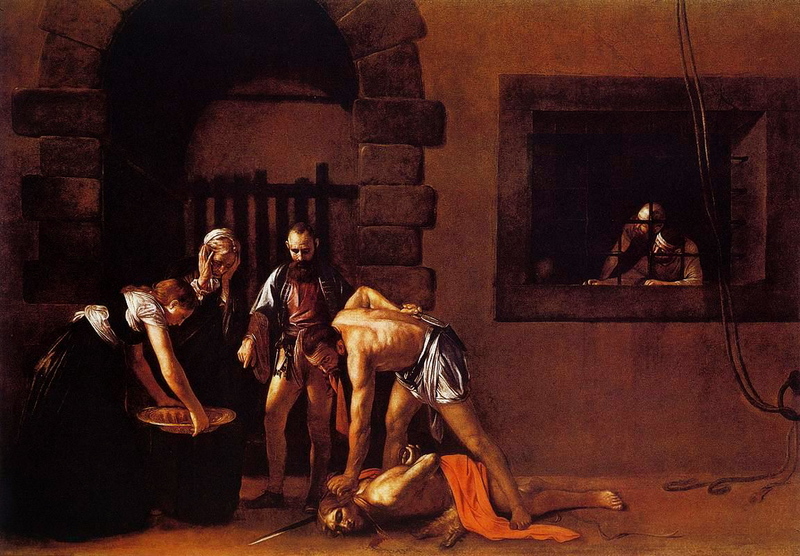 A more famous Caravaggio work represents the beheading of John the Baptist. This enormous painting is approximately 12 feet high and 17 feet wide. Photographs of these works are not permitted but there are many images of it on the internet so I borrowed one of them to show to you. You can learn more here. 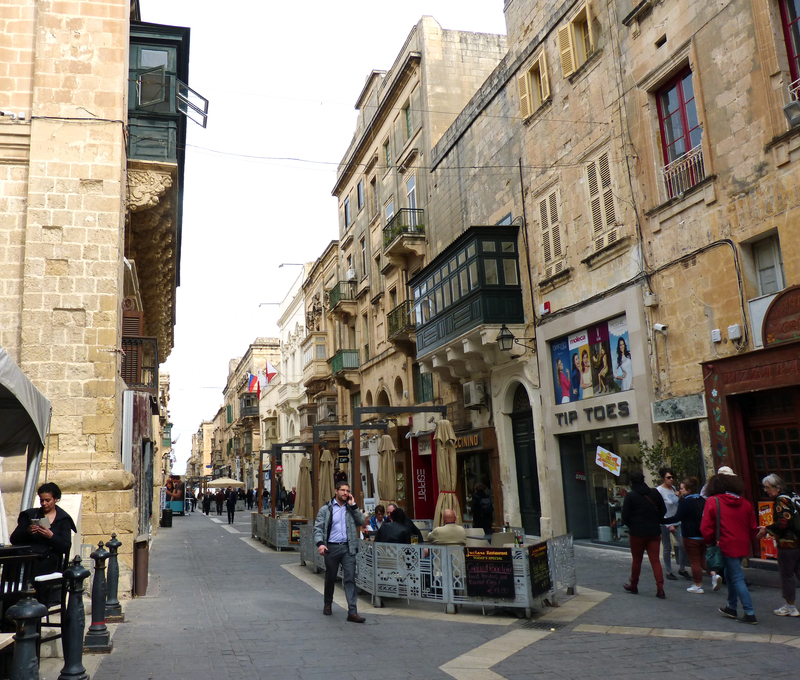 Valletta is Europe’s smallest capitol city. It’s population today is under 5000 although its metropolitan area is more tha 350,000. It sits on a high hill, surrounded by massive walls. It’s been besieged three times and damage from the siege of World War 2 can still be seen. 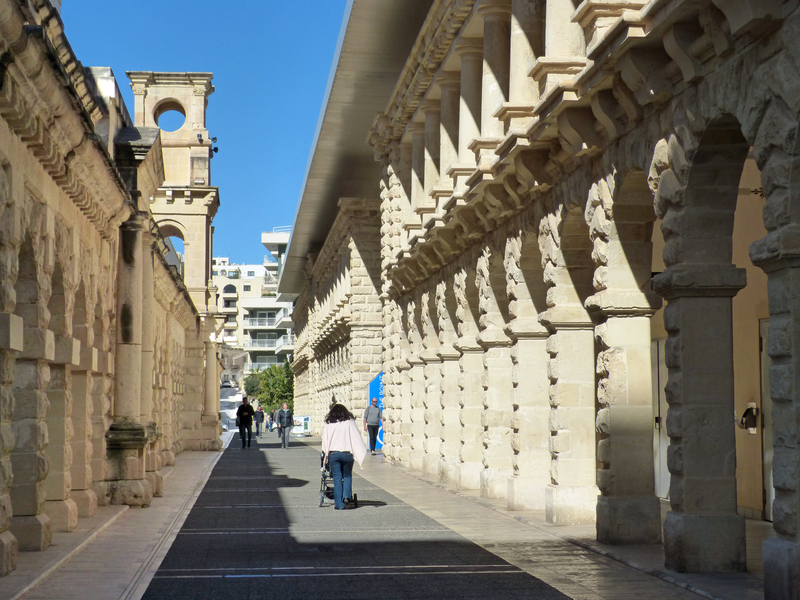 Valletta is the purest example of a renaissance city in Europe today. 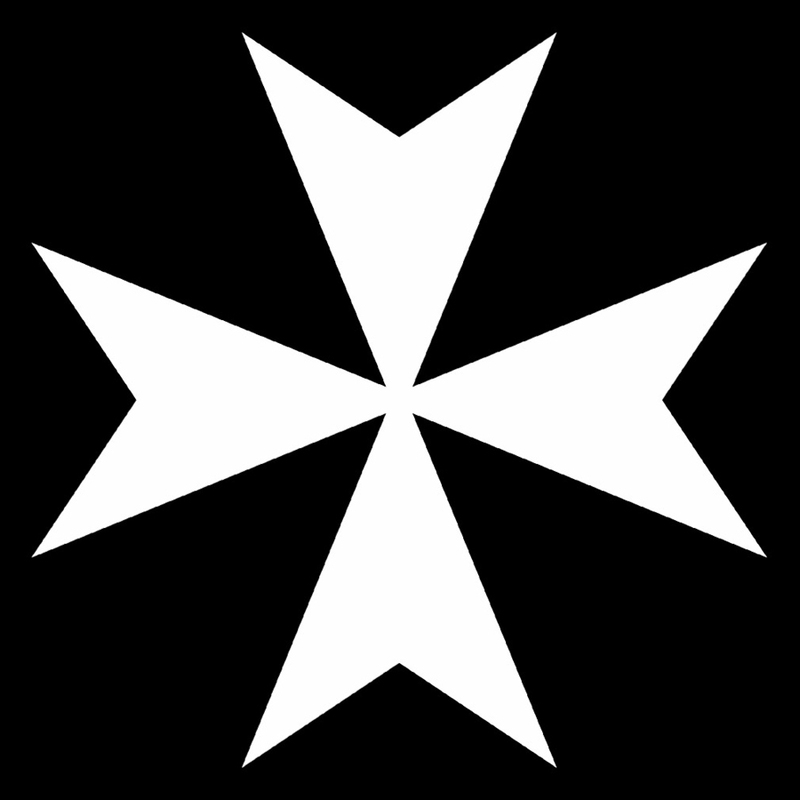 The Knights Hospitalers (also known as the Order of St. John) took refuge in Malta in the 16th century. It is a planned city, built on a barren hilltop. The Grand Master of the Knights in 1566, a Frenchman named La Valette, determined to build an elegant city in an impregnable location and he succeeded. 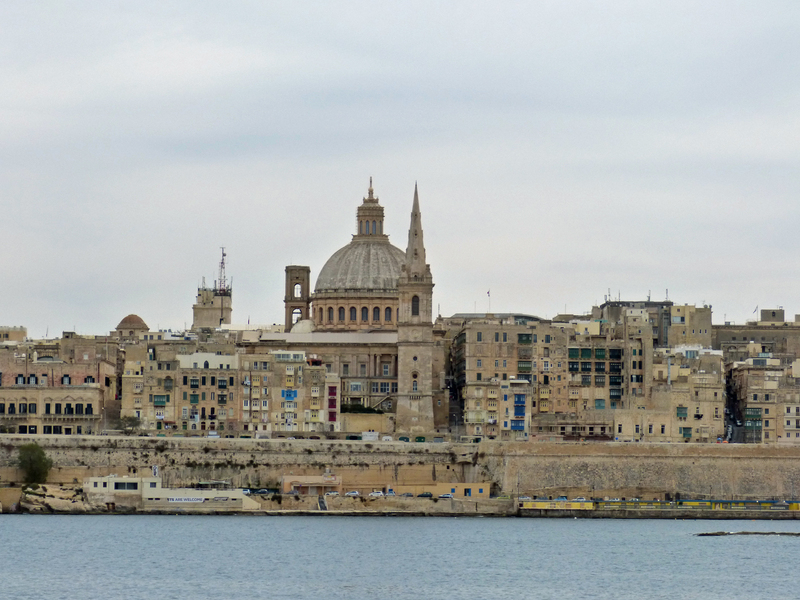 Valletta takes its name from his. The Knights built an extraordinary collection of stone buildings including many churches, palaces and Europe’s longest hospital when it was built in 1574. Today that structure is a Conference Center. 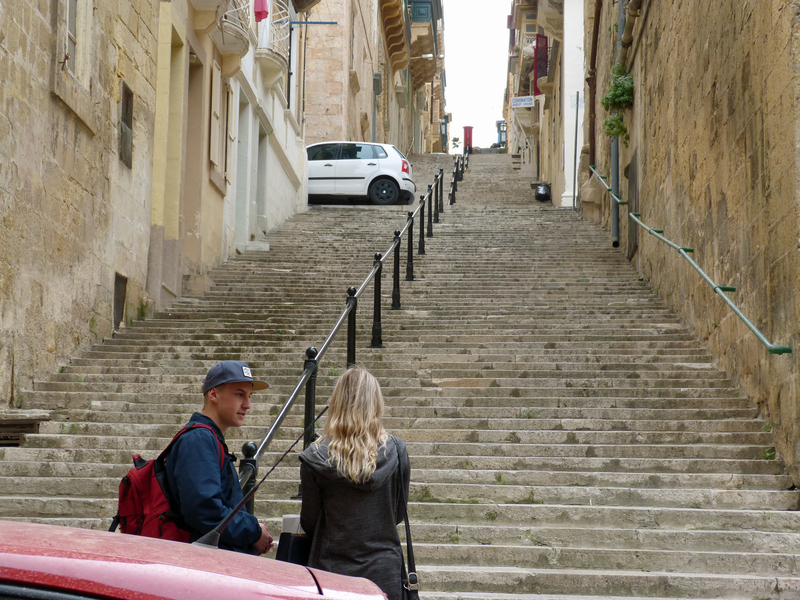 Yesterday I took a short ferry ride from Sliema to Valletta then climbed the stair-stepped streets to the top of the town. I found a charming small city 12 blocks long and nine bocks wide. Broad avenues run along the ridge. There are many old mercantile buildings along the main streets. I like this one, which mixes an old “draper’s shop” (still selling fabrics) with a more up to date sushi restaurant. At the center St. John’s Co-Cathedral takes pride-of-place. It is truly extraordinary! I’ll show you that tomorrow. 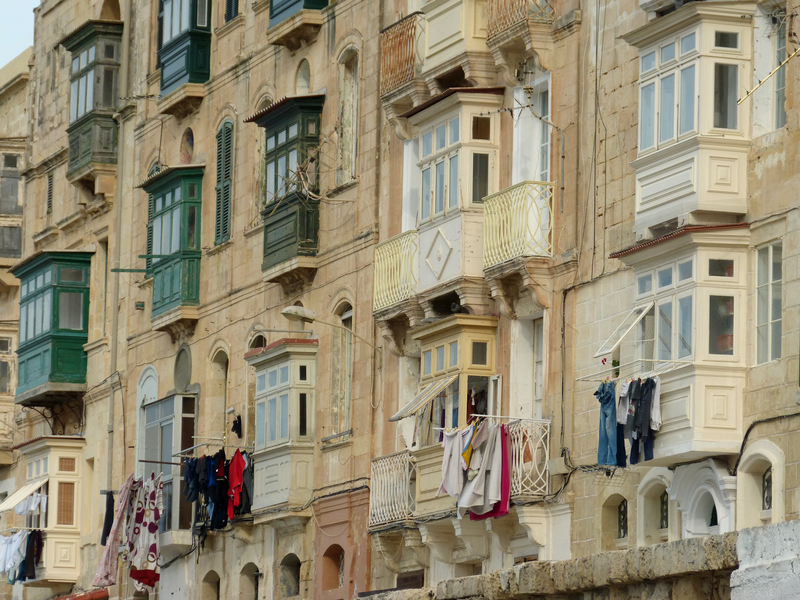 Not many people actually live in Valletta and many of those who do live in old tenement buildings like this one I found at the water’s edge. Malta is a small island nation located south of Sicily and north of Africa. People have been living here for more than 7,000 years! 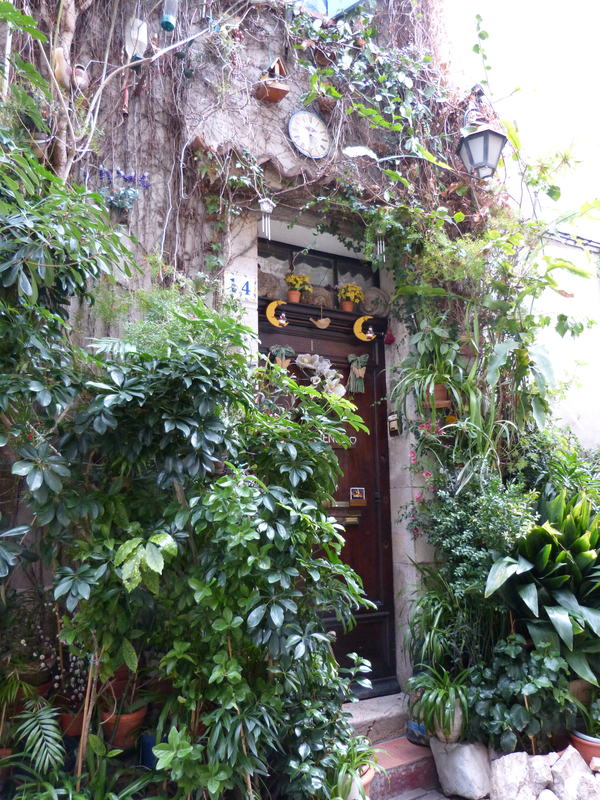 The historic nature of this place can be seen easily in the streets of the cities and in the remnants of ancient civilizations to be found in the countryside. Rather than trying to briefly describe the history of Malta to you I recommend you read this entry at Wikipedia. If you do you’ll learn about megalithic Ġgantija temples on the island of Gozo that are among the oldest free-standing structures on earth. You’ll learn that the Knights of St. John were here in the 16th and 17th centuries and built many of the large buildings still used today. You’ll learn that the Maltese asked both the French under Napoleon Bonaparte and the British to “adopt” them and colonize their islands. You’ll learn about the nearly three-year-long siege of Malta during World War 2 and its importance to the Allies fighting in North Africa. 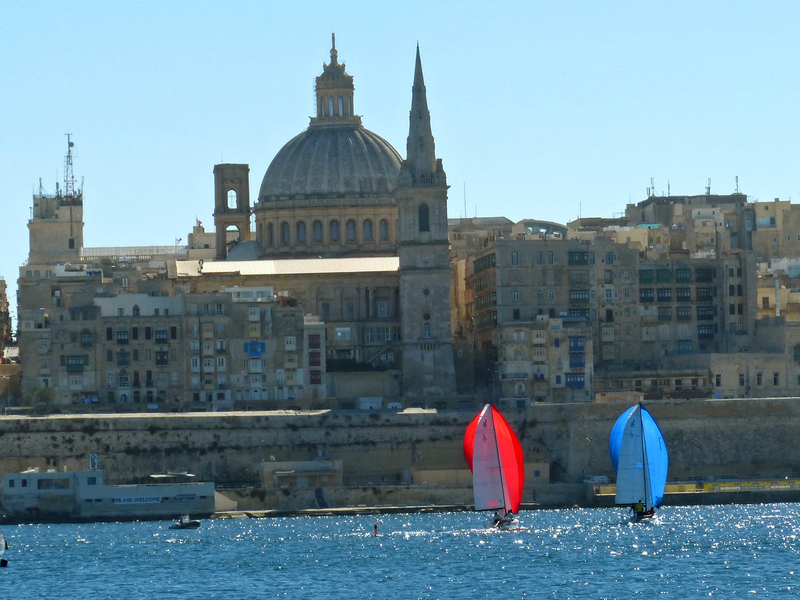 Malta has 300 sunny days a year and a temperate winter climate. It’s beaches draw many tourists from Europe throughout the year. 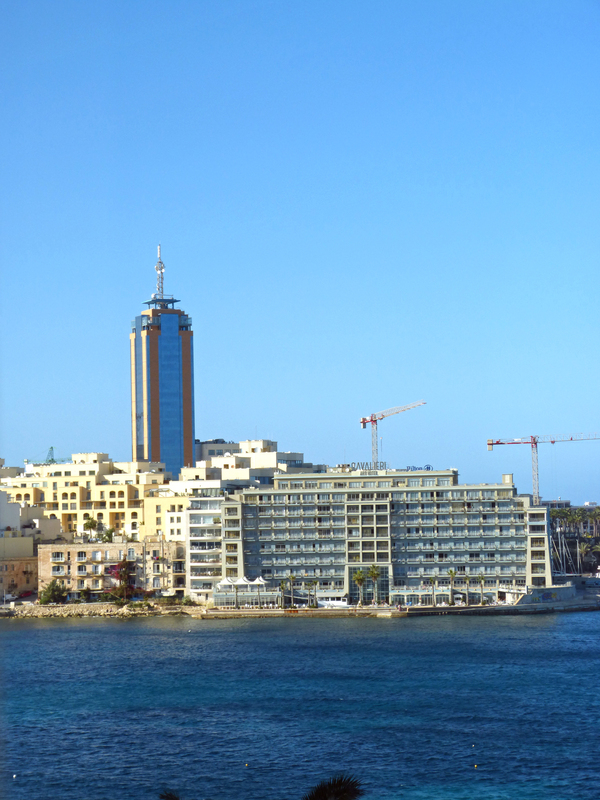 There are dozens of newer high-rise hotels and apartment buildings in the major cities of Valletta, Sliema, and St. Julien. 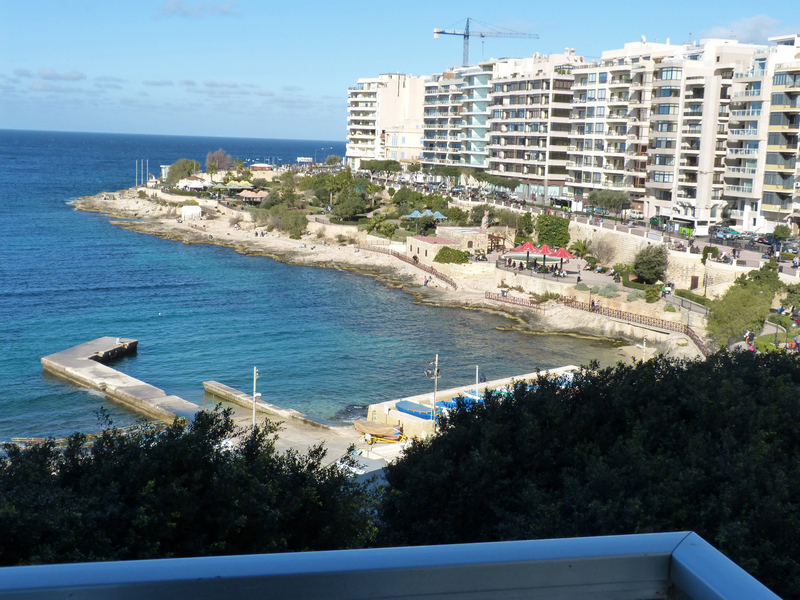 My apartment is in Sliema, overlooking the Mediterranean Sea. The picture above shows the view from my balcony looking straight ahead. Here’s another showing the shoreline of St. Julien which is just a very few blocks north. I set off this morning to find the ferry that makes a 5-minute crossing of the bay from Sliemma to Valletta, the capitol, where most of the famous buildings are located. To do that I needed to cross a small peninsula or walk around it. I did both! When I walked to the end of the peninsula I found a modern shopping mall that incorporates centuries-old military barracks. 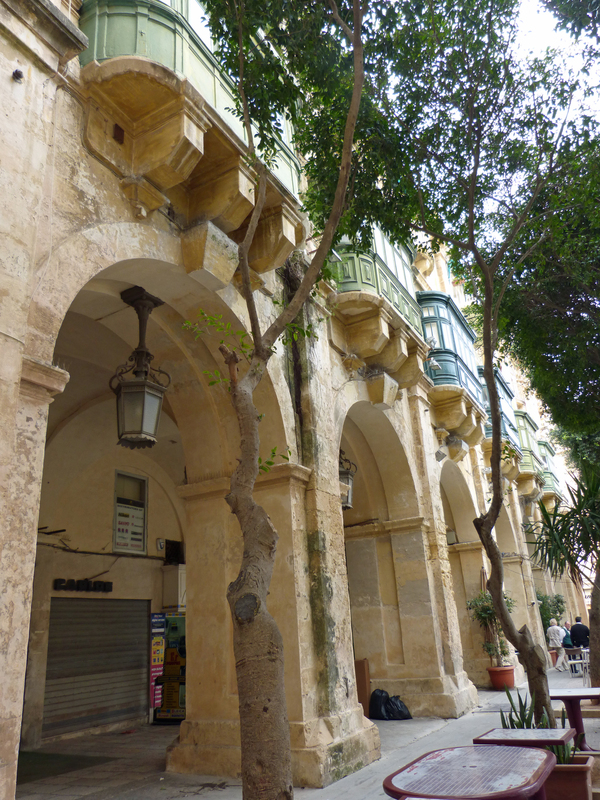 When I walked across the peninsula I found the “old town” of Sliema, untouched by tourism, and apparently protected from development. 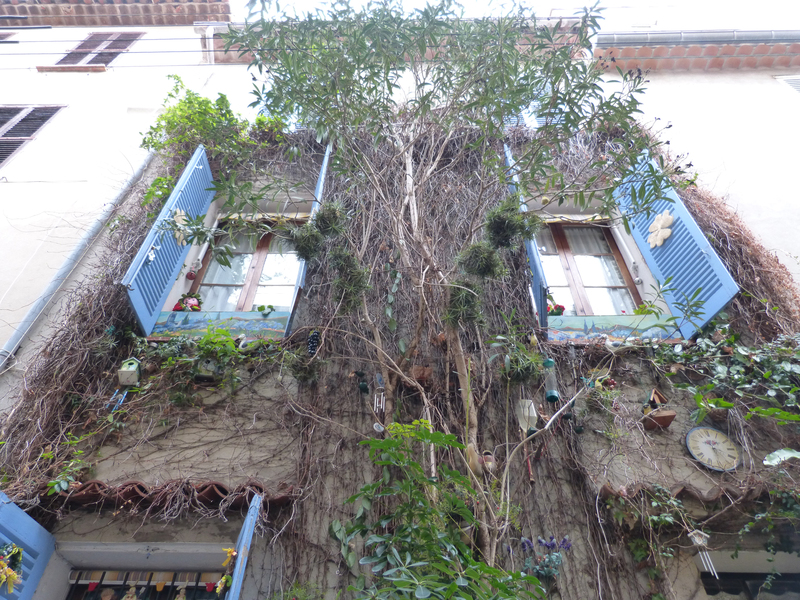 Readers of this blog know by now that I love “old towns.” You can imagine how much I liked finding blocks of old houses built in a unique design with no tourists around except me, with bells pealing from old churches, with narrow streets climbing and descending the hills to water on both sides. 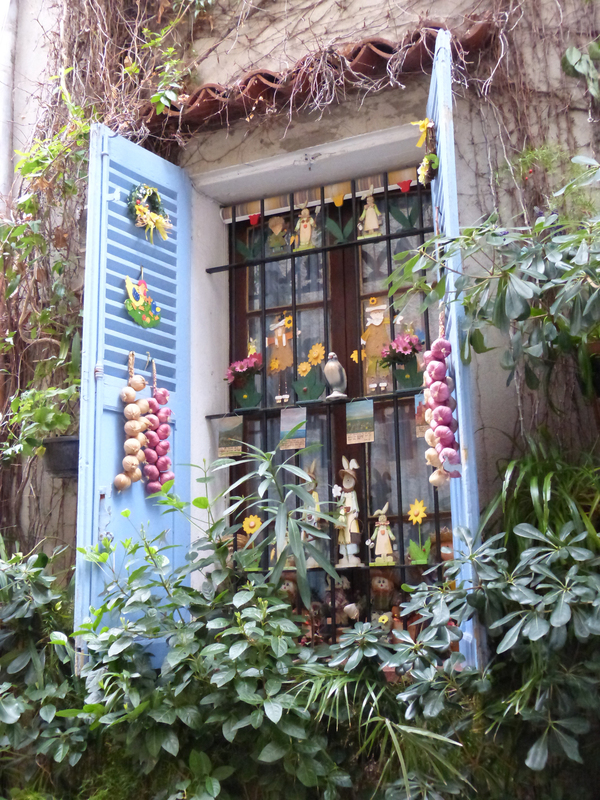 Most of the old houses in the old section of town have these enclosed balconies, painted in a variety of colors. When I found the ferry on the busy (touristy) bay with some interesting boats and the 500 year old skyline of Valletta in the background I gave up on going to Valletta until tomorrow. 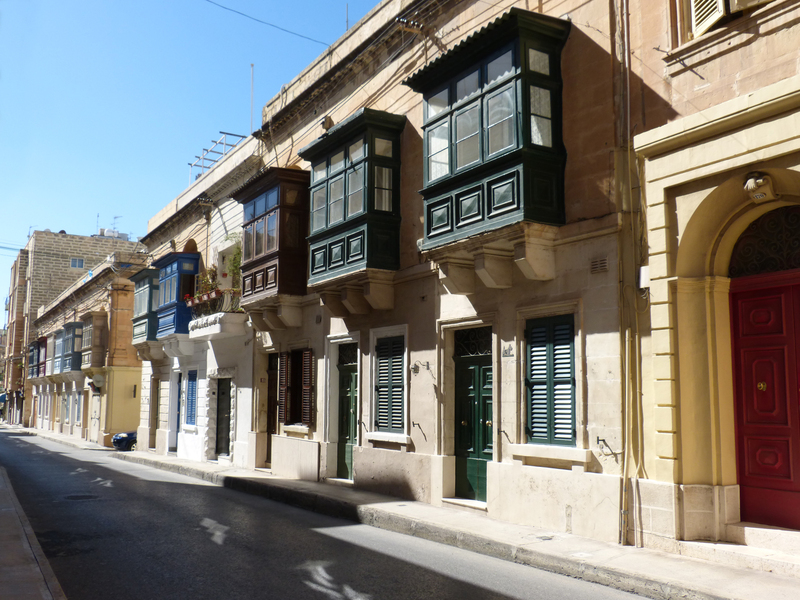 Instead I explored the old section of Sliema and made my way back to the apartment to share it with you. I don’t know yet what the classical styled building at the end of this block is or used to be, but I loved the way the houses marched right up to it. Here you see the cupola and belfry of the Church of Santa Maria but you can also see an ugly wall built behind it. That is the authenticity of this old part of town that I like. People really live here. Now I feel like I’m in a foreign country! 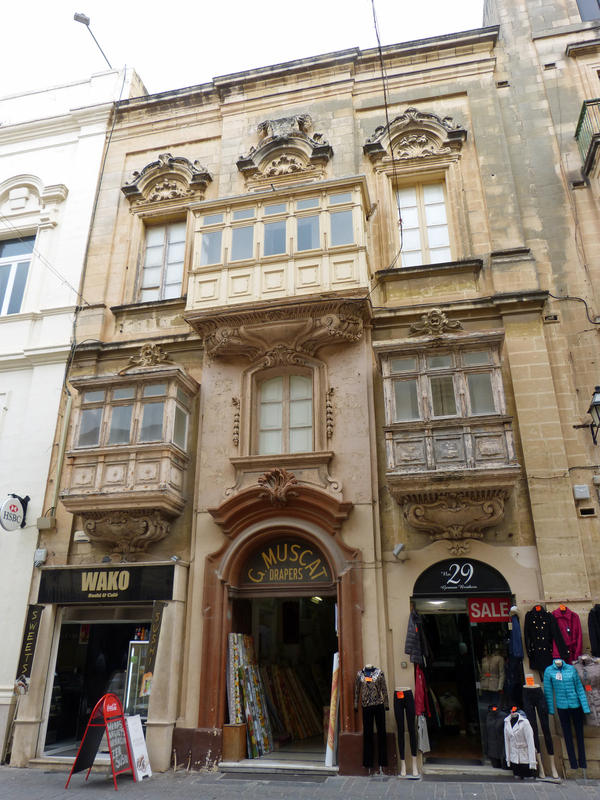 Malta has a very long history and it’s visible in the old buildings near my apartment and seen along the way from the airport. I’m going to have fun exploring this place. My apartment is on the edge of the Mediterranean Sea in the middle of everything. Pictures tomorrow! 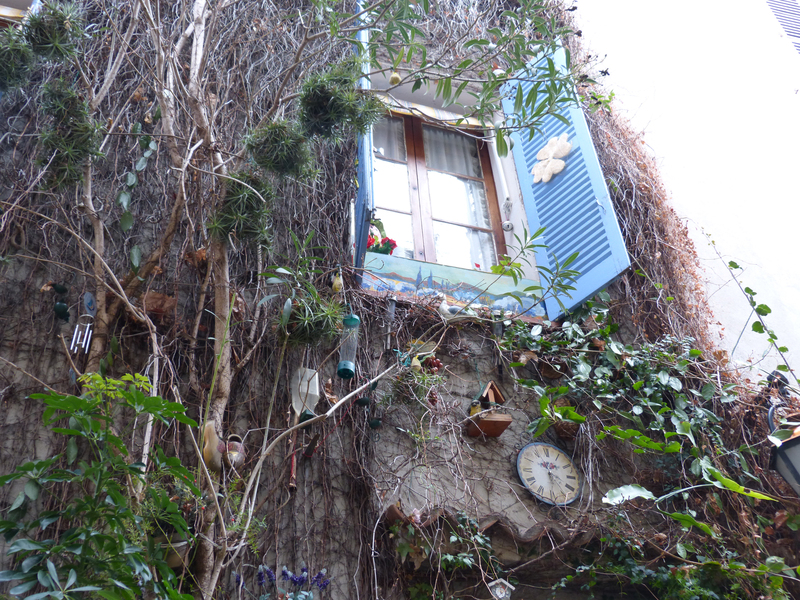 In the meantime, since several people asked to see the vine-covered house in Antibes that I mentioned yesterday here are my other pictures of it. Isn’t it cute? I think that vine’s been growing for a long while.